It is recommended that the Aprés™ Body Dryer is installed by an approved electrician. 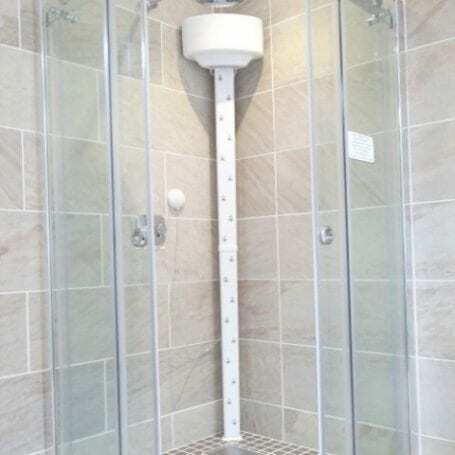 The Aprés™ Body Dryer cable (already attached should be routed outside the shower area and connected by way of an isolator and fused down to 13 amps. The Aprés™ Body Dryer has a 2 speed On/Off air control switch which can be mounted anywhere - floor or wall. Manufactured in White ABS plastic.